ACC’S Meetings that Matter is a 4-hour, hands-on training program that teaches how to plan, participate in, and conclude successful and engaging meetings. 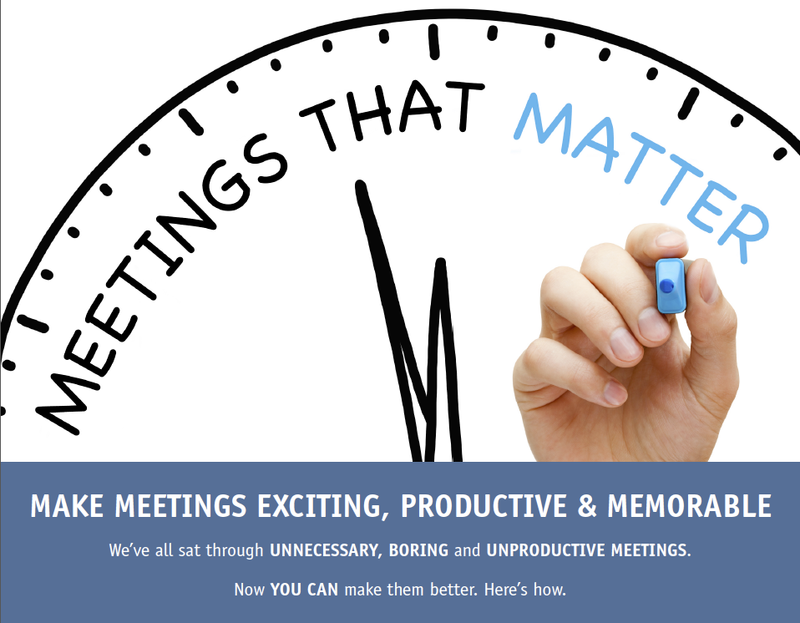 This includes face-to-face, video, telephone, or conference call meetings. Follow the best practices of verbal and nonverbal communication. Assess your leadership style and know what to adjust. Establish purpose and an agenda to keep things moving. Facilitate and lead with less technology and more engagement. Manage conflict and derailment among participants. Assign action and accountability effectively with follow-up activities. Participants receive a customized YouTube video of themselves and a personal copy of the Meetings That Matter workbook. “I have always considered myself a strong leader and an even stronger operator. After the last 8 months with Allison I am now a strong operator and an even stronger leader. Allison has worked with me on public speaking, body language, facilitating classes, communication, coaching and just having fun when working. 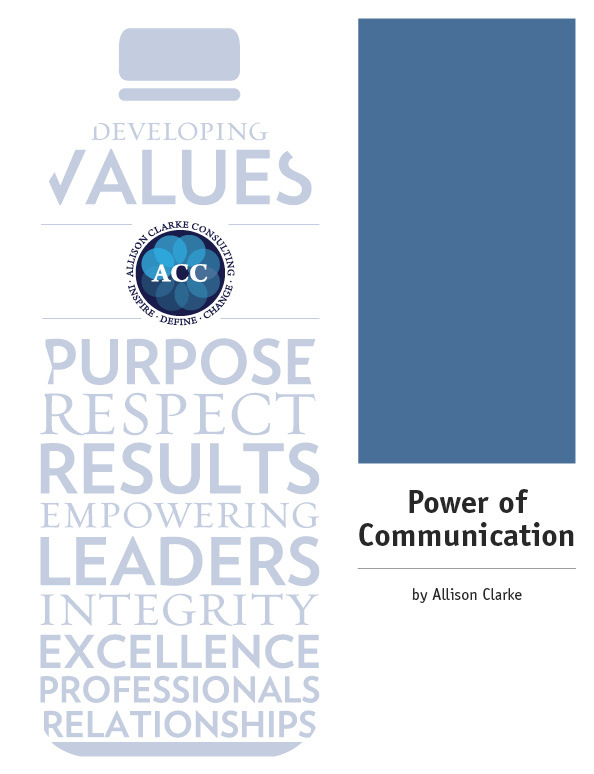 ACC’s The Power of Communication is a one-day workshop for professionals who want to come across as their best selves in every interaction at work. Participants will learn tricks that allow purposeful communication to occur with confidence and ease. These valuable people skills can do wonders for building business relationships and polishing a person’s professional brand. Allison Clarke is a leading expert on interpersonal communication and influence. For almost 20 years, she has developed leaders in various industries by helping them become conscious of their words, thoughts, and actions. She believes that every problem in business is a people problem. Learn your leadership style through a self-assessment process. Discover what it takes to think on your feet and respond powerfully. Clarify the difference between leading and managing. Make appreciation of others an everyday occurrence. Find out what your body language reveals and how to correct it. Would you like to become a better listener? Do you want to express ideas that gain respect? Would you like to convey messages that produce a desired effect? Being a deliberate, intentional communicator is incredibly rewarding. Allow Allison to teach your team what the most impactful leaders have practiced for years!